Sarah Nader- snader@shawmedia.com Woodstock's Gabriella Scolio shoots over Marian Central's McKenzie Lindquist during the second quarter of Tuesday's Class 3A Regional February 17, 2015. 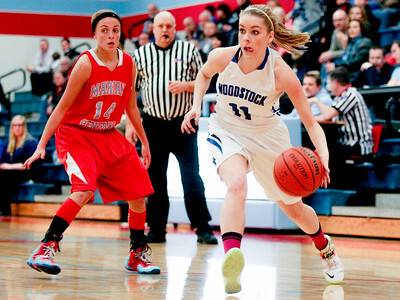 Woodstock defeated Marian Central, 55-41. Sarah Nader- snader@shawmedia.com Marian Central's Vanessa Garrelts (left) and Woodstock's Colleen Brown jump for the rebound during the first quarter of Tuesday's Class 3A Regional February 17, 2015. 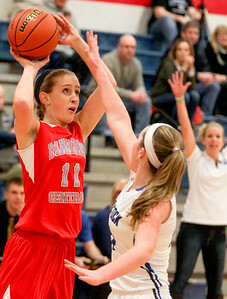 Woodstock defeated Marian Central, 55-41. Sarah Nader- snader@shawmedia.com Woodstock's Colleen Brown dribbles towards the basket during the fourth quarter of Tuesday's Class 3A Regional against Marian Central February 17, 2015. 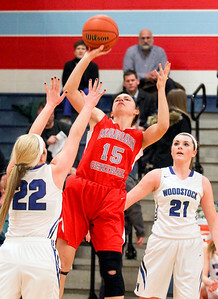 Woodstock defeated Marian Central, 55-41. Sarah Nader- snader@shawmedia.com Marian Central's McKenzie Lindquist shoots over Woodstock's Gabriella Scolio during the second quarter of Tuesday's Class 3A Regional February 17, 2015. 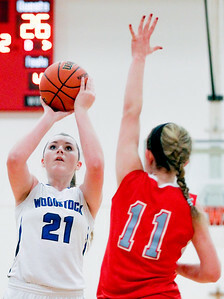 Woodstock defeated Marian Central, 55-41. Sarah Nader- snader@shawmedia.com Marian Central's Michaela Faunce shoots over Woodstock's Brecken Overly during the first quarter of Tuesday's Class 3A Regional February 17, 2015. Woodstock defeated Marian Central, 55-41. Marian Central's Michaela Faunce shoots over Woodstock's Brecken Overly during the first quarter of Tuesday's Class 3A Regional February 17, 2015. 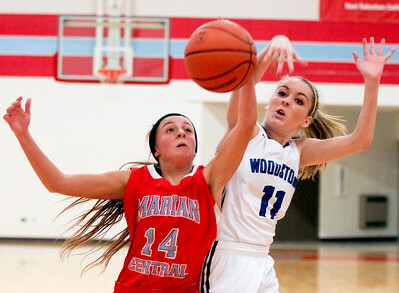 Woodstock defeated Marian Central, 55-41.